Battle Robots! Android - Free Download Battle Robots! 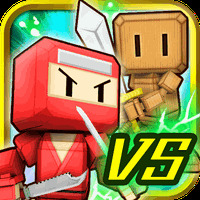 App - COLOPL, Inc.
"Fight different robotic enemies in this brawl game"
Main features of Battle Robots! We are working on the description of Battle Robots! developed by COLOPL, Inc.
Battle Robots! is related to Android games, Action Games, War Games. Developer: COLOPL, Inc.	- High-ranked developer. Installation requirements: A minimum of 23M of free memory space and Android 2.3 or higher. Do you like Battle Robots!? 2 Opinions about Battle Robots! Questions and opinions about Battle Robots! Best New Games of July 2017 like Clash of Robots &amp; DET: Solve the Mystery!